I am so happy with this ice cream pie recipe...Just because it is so good.I love the candies it the ice cream mixture,,,,WOW!!! The choice of candies you.ll just cannot beat. I am sure you can used your favorite candies like I did. And plus I added toasted coconut on top with the pecans. Crush the graham crackers in a food processor or resealable plastic bag. Pour the crumbs into a bowl and stir in the melted butter. Press into a pie pan and bake until golden and set, about 5 minutes. Set aside to cool completely. For the filling: Remove the ice cream from the freezer and allow to soften slightly. 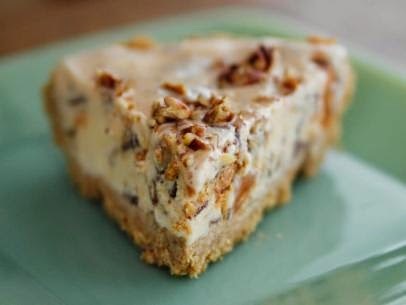 Mix in the pecans, peanut butter cups and peanut butter crunch candy bars and pour the ice cream mixture into the crust. Cover with foil and freeze until very hard, 1 to 2 hours. For the caramel sauce: Mix the brown sugar, half-and-half, butter and salt in a saucepan over medium-low heat. Cook, while whisking gently, until thicker, 5 to 7 minutes. Add the vanilla and cook another minute to thicken further. Pour the sauce into a jar and refrigerate until cold. To serve, cut slices of the pie and serve on individual plates with cold caramel sauce spooned over the top and sprinkled with pecans. 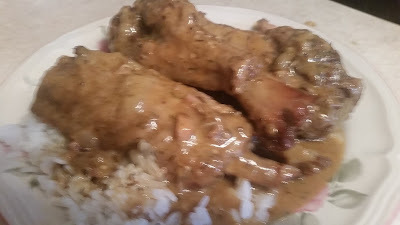 Serve with extra caramel sauce on the side.